LAHORE: Pakistan and Indian forces on Wagha border exchanged sweets today, in celebration of Pakistan’s 71st independence day. 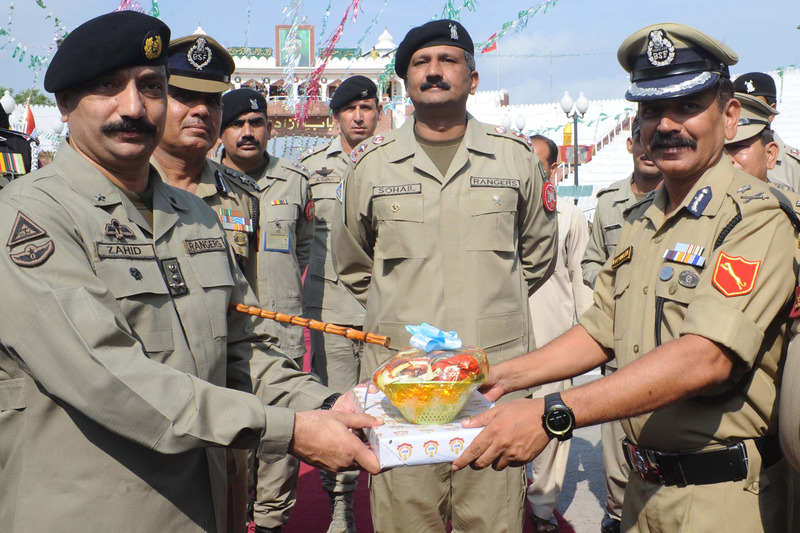 The Punjab Rangers and border security forces historically engage in gift exchange with their counterparts across the border on national holidays and religious festivals. However, when Indo-Pak tensions heighten over the Line of Control (LoC) or elsewhere, the gift exchange also comes to a halt.